On Sept. 6, state legislators on the Minimum Wage Study Committee heard from Ellen Kahler, executive director at the Vermont Sustainable Jobs Fund — an advocate in favor of the $15 minimum wage. Kahler suggested that if Vermont’s small business owners were just smarter and worked harder they could afford the proposed massive increase in wages. Kahler began her testimony with a chart showing the average size of firms in Vermont. 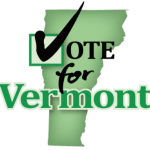 “Vermont is very much a state of small businesses. 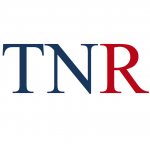 90 percent of all Vermont firms have fewer than 20 workers,” she said. Such a statistic should give legislators pause. Vermont is not a state of large corporations that are able to readily absorb increased labor costs. Ours is a state of Vermonters employing their neighbors and family in ventures that don’t generally have large profit margins. Kahler acknowledged the possibility of the minimum wage causing small business owners to reduce hours, lay off workers, increase prices or see a fall in profits that could potentially lead them to go out of business. She downplayed these risks. Why? Kahler believes pouring money into “small business development centers” — government-funded organizations that show small business owners ways to improve their businesses — can overcome this challenge. 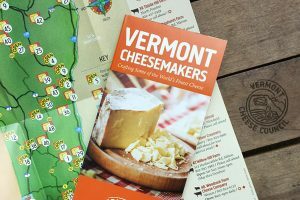 According to the Vermont Small Business Development Center’s website, this program receives funding from Vermont’s Agency of Commerce and Community Development. In other words, government would charge taxpayers more money to foot the bill for paying government agents to advise shop holders to charge those same taxpayers more for their goods and services. Sounds like someone’s getting the short end of the stick here. But even if taxpayers could be convinced to pay up, more government-funded development centers are unlikely to be the answer because, Kahler admits, many small business owners are too busy “putting out fires” and “working 12-hour days” to consider strategies from experts. So, taxpayers are being asked to fund a program that advocates recognize is underutilized yet believe will counter the negative effects of a $15 minimum wage. Okay, then. The risks of imposing a minimum wage on Vermont’s small businesses are numerous and serious: reducing hours, laying off workers, raising prices that could drive customers away, and the possibility of business foreclosure. The prospect of Vermont businesses countering the damage from a higher minimum wage by somehow increasing their productivity using the strategies suggested by an army of taxpayer-funded government bureaucrats is far from assuring. John McClaughry informs us that Ms Kahler’s solution to the problem is,”more Small Business Development Centers, where small business people crippled by the higher minimum wage can come in for affinity group meetings (and learn about the latest advances in automation).”., which, of course means more “professionals” at the government trough, and more “civil servants” voting to keep the funds for the trough flowing. Good reporting and analysis by David. Back in 1999 Kahler’s Peace and Justice Center was into promoting a “Livable Wage”. I noticed with interest at the time that advocating for a higher minimum wage was not part of their platform: “The Peace and Justice Center report stops short of demanding a higher minimum wage, settling instead for a study of the costs and benefits of a substantial increase.” I surmised that Kahler didn’t want to defend throwing low skill people out of work as part of her Livable Wage proposal. Today the Left’s economic program leads with ever-higher minimum wage and more taxes on the top 1%, so she’s stuck with trying to explain the consequences. Her answer is more Small Business Development Centers, where small business people crippled by the higher minimum wage can come in for affinity group meetings (and learn about the latest advances in automation)..
She looks exactly like I thought she would. God help the real Vermonters. Every time I talk to anyone in this state about the status of business in Vermont they agree we need more jobs and they are disgusted in our state representatives and the progressive agenda. Yet they keep getting into office how can that be this state is bigger then Burlington. Just maybe it is time to take our state back and make sure every vote is legal and counts. I for one am tired of watching the home I love be destroyed by the rich and progressive groups who think they know what is best for the rest of us. What can be done when a voting majority, those relying primarily on taxpayer funded social services for their livelihoods and those administering those services for a living, elect Federal, State and Municipal representatives who perpetuate the arrangement in order to be re-elected? And before anyone says ‘term limits’, consider that this majority can also elect sympathetic replacements? I think we need to organize against wage and tax increases by government. It can be done. Where does Ms. Kahler have her small business? She seems to have much expertise garnered from her long hours toiling behind the counter at her emporium. Perhaps she would be willing to expose a spreadsheet from her books so that all other Captains of small Industry can benefit from Ms. Kahler’s wealth of knowledge. so much smarter and works harder than everyone else that we need another government agency to teach us how to stay in buisness. The trouble is that our reps in Montpeiler will belive this crap. Another reason that is becoming more dificult to stay in Vermont. To call Kahler a moron is an insult to morons. With this kind of brain power lobbying the state legislature, no wonder Vermont’s economy mimics that of a Banana Republic. The only difference is we can’t grow bananas. Typical liberal. She obviously thinks the average Vermonter is dumb and lazy. Wonder how hard and many long hours the smart Ms. Kahler works???? Seems to me the larger question should be, why are there so few large corporations which can provide high paying and challenging jobs located in Vermont. Sadly one only has to look at Montpelier to find the answer. Jobs losses resulting from an increase in the minimum wage are legitimate concerns. But of greater consequence are the resulting wage increases throughout the various tiers of the labor market. When the minimum wage increases to $15/hr., for example, those already earning $15/hr. demand a commensurate increase in pay, and so on up the wage ladder. The phenomenon is called ‘labor market equilibrium’. Advocates of the minimum wage increase often claim that labor markets don’t work that way. If anyone wants proof of labor market equilibrium, just consider the current negotiation strategy of Vermont’s teacher unions. Job losses due to raising the minimum wage? Just “enroll” the laid-off folks in government make-work program, with free rent, free food stamps, free healthcare under Medicaid, free job counseling, free education and training for a better job, free clothing allowance, paid for by those who are working. The problem I see with this whole push for $15/hr is that it does not differentiate between a “minimum wage” and a “living wage”. A 16 year old burger server living with mom and dad should be getting the current minimum wage of $7.25 and no more. The employer trains her, the employer makes sure she shows up on time, when scheduled and treats the customer right. That’s basically a life skill being taught that hopefully will follow the young person through life. Working next to the teenager is the 22 year old single mom who cannot survive on that same $7.25. Rent, doctor visits, gas, groceries now come out of her own pocket. Or more likely ours since she is eligible for all kinds of state and federal subsidies. Wouldn’t it be better to pay more for that burger and cut out the bureaucratic middleman by paying a living wage? Age discrimination? Absolutely. Common sense? That too. 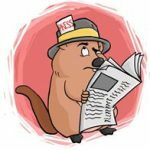 “……if Vermont’s small business owners were just smarter and worked harder they could afford the proposed massive increase in wages.”. Yes, of course. The Communist way. YOU work harder, Hennie Penney, and contribute more so slugs who don’t work too hard (how difficult is it to hand somebody a burger?) can live as well as you. Yeah, that sure makes sense. To Communists. Ms. Kahler appears to be another liberal “do-gooder” who does not have a clue about business, small or large. I would like to ask her how are we, the state legislators, going to explain to small business owners the are not smart enough to run their business AND tell them after they have already worked 80+ hours per week, that they have to work harder. As far as large businesses being in a better position to absorb, of course they are we will see more self service checkouts and automated ordering in restaurants for starts. There will be yet another reason for larger businesses NOT to locate in Vermont. I am of the opinion, that in a “free” country, two parties should be free to mutually enter into a contract (job) willingly and no government need tell either side what any terms of what the contract will be. I once thought it was a Right! When I began in business I paid double the minimum wage because I could. That was before the taxes and fees alone on my telephone bill grew to double what was then the entire phone bill. That was before my Real Estate taxes were raised 10X what they were then, before I was forced to pay a huge cost for Disability Insurance for workers who do nothing more taxing, strenuous or risky than what they would do for themselves in their own homes. That was before my Town charged over a dollar a flush for water and sewer……..I could go on and on. I absolutely dread when this legislature is in sessions because death by papercut is a real possibility and a government mandate of $15/hour will certainly bleed this patient to death. My employees will tell you they would much rather be working at the wage we agreed upon, than to have no job at all, which will certainly be the case if this is passed. Expect more village/downtown empty storefronts and more buildings up for auctions and these same legislators scratching their heads, at the next session, trying to figure out what to do about it.